J74 PitchControl is a Max for Live tool for real-time synthetic pitch treatment and harmonization. 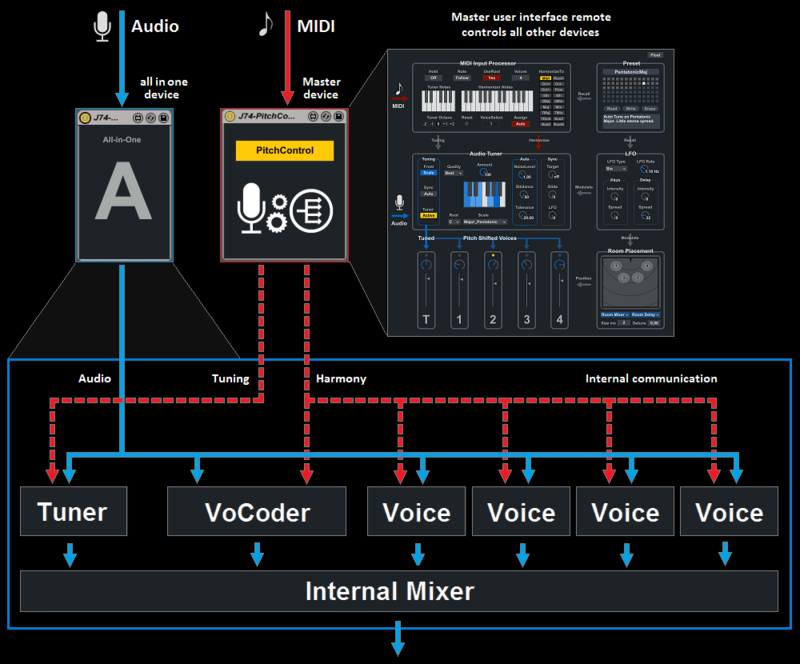 It allows you to manipulate an input signal through pitch-processing stages such as tuning, re-pitching, vocoding, space placement, LFO modulation and to harmonize it up to four voices all in real time and controlled by MIDI. J74 PitchControl has been made primarily with the human voice in mind (although it can be used with anything else). 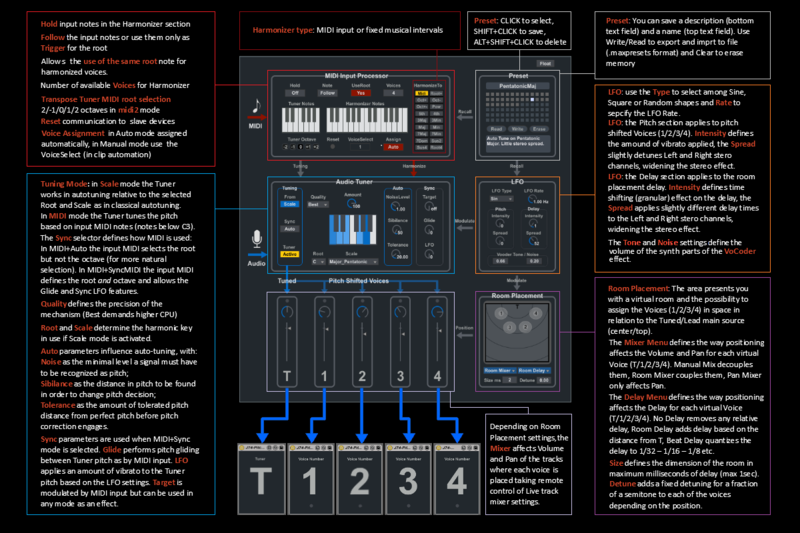 While the tool can be used as a classic T-Pain style auto-tuning effect (for automatic pitch correction), its main goal is to do pitch manipulation and harmonization via MIDI control: you can indeed play the device in real-time (improvising with a keyboard or MIDI controller) or sequence it upfront (using Live MIDI editor), controlling tuning, harmonization and vocoding, at the same time. The J74 PitchControl package for Ableton Live can be purchased for 15 EURO (excl. VAT) using the buy button below. Once your order will be completed you will get a download link from the Paypal confirmation page. An email with a link to the download will be also sent to you separately, within 24 hours from the purchase. 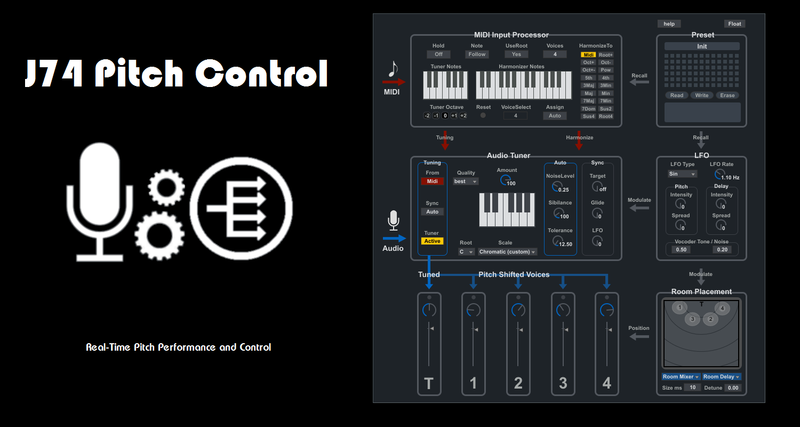 PitchControl is an Ableton Live Max for Live device for Live 9 and higher. You must have a Max for Live licence to run it and it will run properly only in Live 9 or higher (older versions of Live, such as Live 8, are not supported). 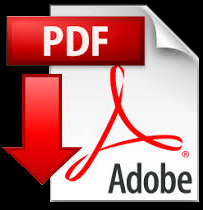 For more information about the toolset have a look to the detailed User Manual.